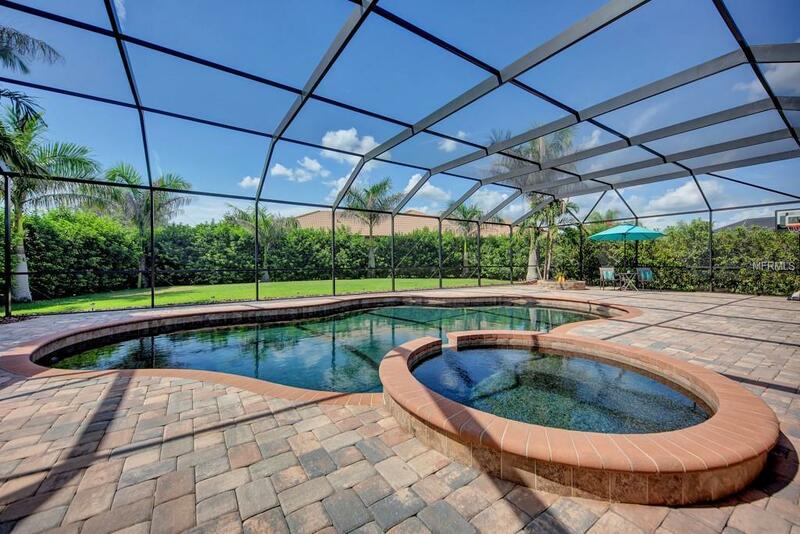 Lakewood Ranch Amazing Greenbrook home with a colossal paver lanai. Great for basketball, corn hole or tossing a baseball/football. 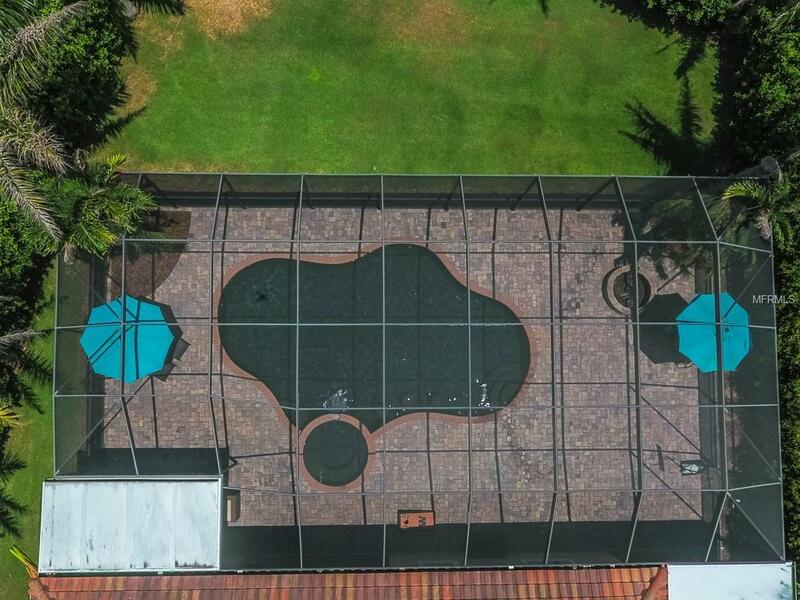 WOW, what a fabulous oversized Pebble Tec saltwater gas pool and spa! 3 covered areas on the lanai. 2 TV hookups. Solar lights on screened cage. 3 car garage. Lush landscaping with a stellar elevation. Grand and open entryway. 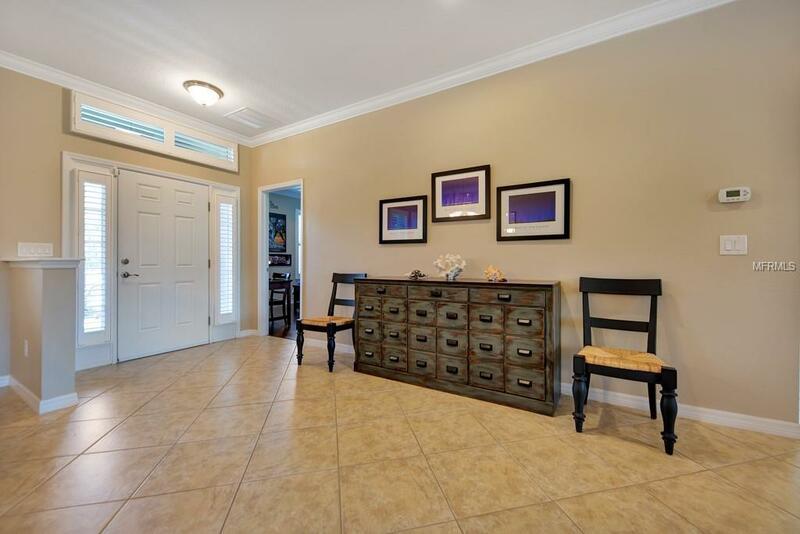 Tile and wood flooring. Spacious dining and family rooms for entertaining. Crown moldings. Hickory wood floors in owners retreat and all bedrooms. Plantation shutters. Tankless water heater 2013. Hurricane shutters. Wood-burning fire pit on lanai. Gourmet granite kitchen. Custom rich cabinets with up lighting, tile backsplash, eat-in counter space at bar with 3 pendant lights. 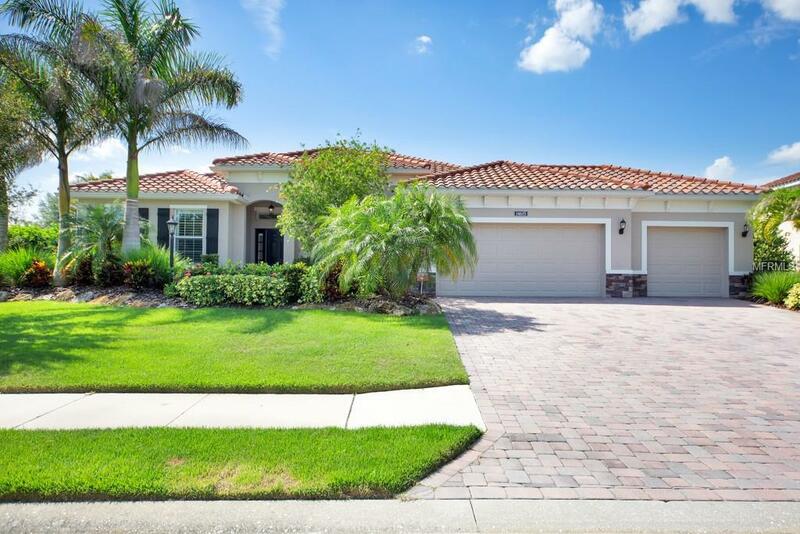 Stainless appliances, 4 burner gas cooktop, dual sink, closet pantry, large breakfast area with sliders off to lanai. Lovely owners retreat with a seating area. Custom built-ins in all bedroom closets. Beautiful bath with dual sinks, brush nickel hardware, granite countertop, walk-in shower, garden tub, private water closet and a huge walk-in closet! Crown Molding everywhere, Additional Lighting, Fans, New Flooring, Custom Garage Floor, Custom Closets, Blinds, Great yard for practicing any type of sports. Close to A-Rated schools, UTC Mall, dining, soccer fields.